As back-to-school season gears up across the United States, two new reports from the Centers for Disease Control and Prevention (CDC) caution that although kindergarten vax rates are on the rise, most states still have not met the 95 percent vaccinated rate set by Healthy People 2020, Medpage Today reports. 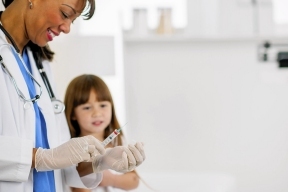 According to one recent study, published in the latest Morbidity and Mortality Weekly Report, the individual vaccination rates for measles, mumps and rubella (MMR), diptheria, tetanus, pertussis, or whooping cough (DTaP) and chicken pox (varicella) among kindergarten-age children during the 2014–2015 school year were almost 95 percent. 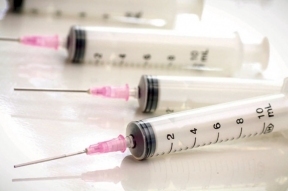 But researchers noted that in 32 states and the District of Columbia, vaccination rates fell below the 95 percent national coverage goal set by the CDC. What’s more, findings also showed that vaccination rates—and the number of exemptions parents sought for their kids—varied widely from state to state. A separate CDC report on U.S. vaccines also reported that target rates of preventive coverage for several vaccines weren’t met. Children from households below the federal poverty level were found to have the lowest vaccination rates. Many vaccine exemptions across the U.S. were also made due to medical, religious and “personal belief” requests on the behalf of vaccine-wary parents.